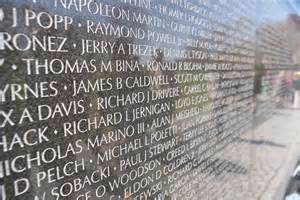 Legislation to commend and honor two Hillsboro Veterans who lost their lives in the Vietnam War was recently unanimously adopted by both, the Illinois House and Senate. The Senate Joint Resolutions designating memorial highways in their honor was sponsored by State Representative Avery Bourne (R-Raymond) and State Senator Andy Manar (D-Bunker Hill). Senate Joint Resolutions 33 and 34, recognize US Army Specialist Charles Irby and Marine Corps Lance Corporal Larry D. Claybrook. Each of them gave their lives defending our freedom and these resolutions seek to pay tribute to the men by naming roads in their hometown of Hillsboro in their honor. At age 19, United States Army Specialist Charles Irby gave his life defending America’s freedom after taking enemy small arms fire while serving in Company B, Third Battalion, 25th Division. United States Marine Corps Lance Corporal Larry D. Claybrook, age 22, gave his life during a landmine explosion while on patrol duty while serving in the 1st Battalion, 4th Marines, in Vietnam. Army SP4 Charles Irby Memorial Highway will cover Route 16 along School Street from South Main Street to the corner of 22nd Street. Marine Lance Corporal Larry D. Claybrook Memorial Highway will stretch along Route 127 between School Street and to its junction with Illinois Route 185.